The Short and the Sweet of It: Zoe Headquarters: BA-NA-NAS! 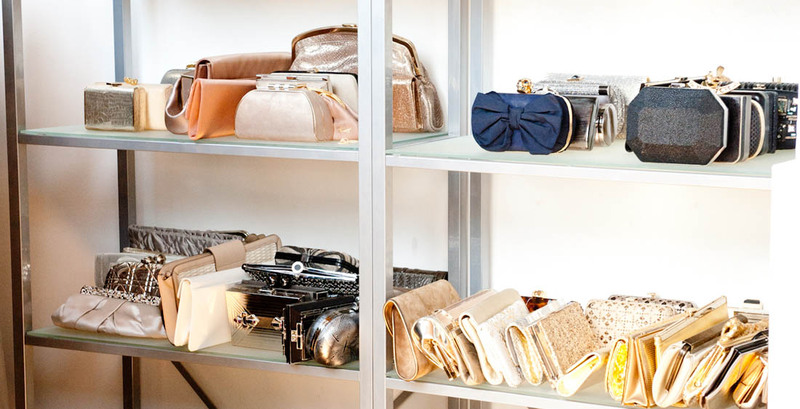 The Coveteur recently teamed up with Who What Where for a peek into Rachel Zoe's headquarters. See more pictures from the shoot and read about it here. BANANAS is the perfect adjective. I love it madly. i love Rachel! seriously obsessed.... i die! What a great space! I love how everything is so organized. I've never seen so many shoes in my life, though! Love the shoes! Such a great space! 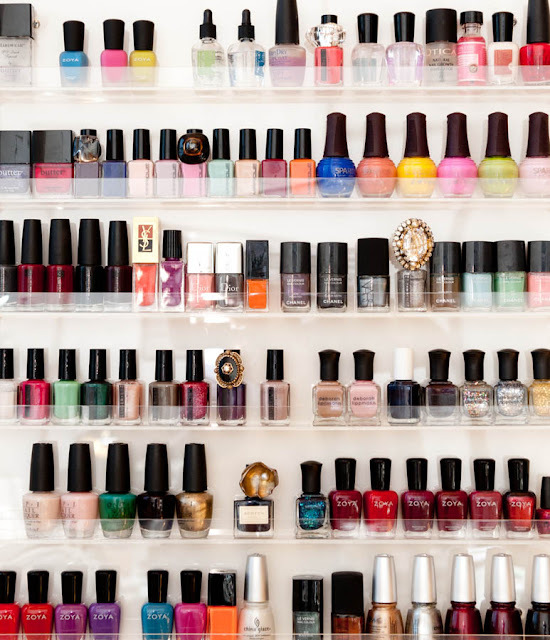 Maybe someday in my house I will do a nail polish rack, then everything would be organized! I love how she placed cocktail rings on top of her nail polishes! That Rachel...always thinking! OMG, I simply can´t get enough of Rachel, her style, her work, everything! Love her! You can just tell she is doing what she loves, it is obvious in her space. Inspiring! i would like to spend a lot of time in here. and take a lot of it with me! Seriously, I wouldn't mind going to work if my office space looked anything like this! for a second, i thought this fab office was yours (i don't know why, hehe) -- but wow, what a girls dream! i bet anyone could do a lot of work in here. so much light, color and INSPIRATION. love it! Um I would give anything for not only all those shoes but that extensive wardrobe set! Ah I love Rachel and would kill to live a day in her shoes! very fun. i want a blinged-out hand too! I think that place is every girl's dream. I would be like a kid in a candy store. All those shoes and clutches!!! Wow. she is gorgeous in this pic and i love her office!! I started drooling at the shoes but my heart stopped at the nail polishes.